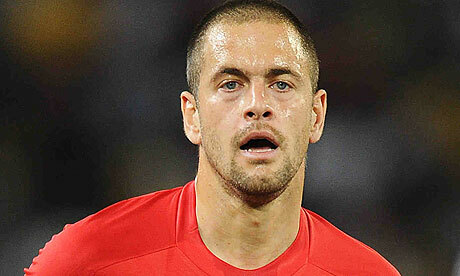 Joe Cole on the pitch for England against Germany. Joe Cole has admitted England "just weren't good enough" at the World Cup and suggested the philosophy of the team needs to change for international success to be possible. "It is obvious that we lack the kind of qualities you need to be successful at international level," the midfielder said. "We don't keep the ball as well as other countries; that's not a secret. "It wasn't just the Germany game. Over the course of the tournament we looked a long way behind the other top nations and when it came to the crunch, the best side won. People will talk about the decision not to allow Frank Lampard's goal, but it was plain and simple to see that we just weren't good enough. "Almost every team I have played for – including England – always want to hit the front players as early as possible. You won't get away with that at international level. It's about technique, keeping control of the ball, passing and moving. "We seem to abandon good technique because we are obsessed with getting the ball from back to front as quickly as possible. That doesn't work against top teams. "No one pulls the England shirt on with more pride than me but we've got to face up to the reality of it all. We're just not good enough. "Maybe it's time to really look at how we're teaching kids to play. Maybe we're paying the price for having the best league in the world."